Korean culture critic Ha Jae-geun analyzed the recent controversy surrounding Tiffany on Monday in EBS news. The Girls’ Generation singer faced a barrage of criticism from the Korean public after posting a rising sun flag on her Snapchat on Aug. 15 National Liberation Day, the day Korea attained independence from Japan. Ha chronicled the events: Tiffany posted an emoticon of a Japanese flag and a heart on the eve of National Liberation Day. When some fans remarked that it seemed insensitive of her to post a Japanese flag on the eve of Korea‘s National Liberation Day, Tiffany deleted the Japanese flag. However, she made a bigger blunder the next day, on National Liberation Day, by posting the word “Tokyo” in the design of a rising sun flag. The rising sun flag is a symbol of Japanese imperialism and is often associated with Japanese wartime atrocities committed in the early 20th century. 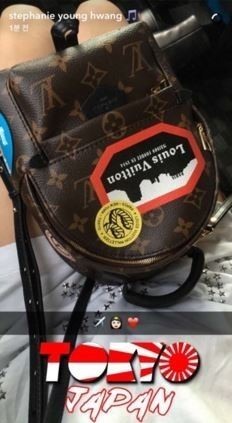 Tiffany was in Tokyo for the Tokyo Dome Concert at the time she posted the emoticon. 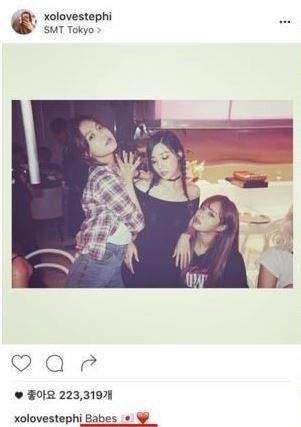 “Some people and media have reported that Tiffany seems to have deliberately posted the rising sun flag. However, there is almost zero chance that Tiffany intentionally posted a rising sun flag on National Liberation Day to irk the Korean public. Why would she intentionally do something to antagonize the mass Korean public? I think the public was too quick to criticize her as a treacherous pro-Japanese without really thinking about what Tiffany was probably thinking or feeling. The public is excessively criticizing Tiffany, but this witch-hunting is not patriotism,” Ha said. The apology did not relent public anger, as the public claimed that Tiffany did not at all mention the specifics of her misstep anywhere in the apology. The apology was devoid of the words “Japanese flag,” “rising sun flag,” or “National Liberation Day.” Some of the public denounced Tiffany more acrimoniously, saying that the vagueness reflected the insincerity of Tiffany’s apology. Tiffany is not the only one who was lambasted for using the Rising Sun Flag. Hyeri from Girl’s Day came under fire in 2012 for wearing a shirt with a rising sun flag design in a heart. Hyeri had received the shirt from a Japanese fan. “I wore the shirt to express support for the victims of the Japanese earthquake and did not really notice the rising sun design. I am very sorry, and I will make sure it won‘t happen again.” Hyeri said at the time. 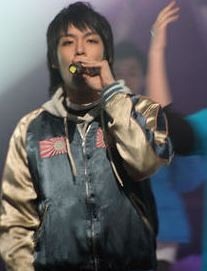 In 2007 T.O.P from Big Bang also wore a jacket with a rising sun flag drawn on the chest. The CEO of his agency, YG Entertainment, later explained that neither T.O.P nor the staff really knew what the sun meant or noticed it. “However, I know ignorance cannot be used as an excuse,” he said, and apologized. In 2013 singers Jang Hyun-seong and HyunA also wore shirts with the rising sun flag drawn when the two co-worked on the song “Troublemaker,” arousing much criticism from the public.